This week California has been devastated by the Camp fire in the north and Woolsey fire in the south. 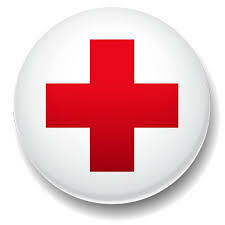 Providing disaster relief services to people affected in both ends of the state is the American Red Cross. That's why they are today's Feel Good Friday organization. Founded by Clara Barton in 1881, the American Red Cross "prevents and alleviates human suffering in the face of emergencies by mobilizing the power of volunteers and the generosity of donors." With 21,000 employees and 300,000 volunteers in the U.S., the American Red Cross responds to approximately 64,000 disasters each year. In California, they've up set up evacuation centers for people displaced by the fires as well as shelters for animals. They're also operating a free public reunification tool, the Safe and Well website, where you can post your status as safe and search for loved ones. While the American Red Cross may be most well known for their disaster relief efforts and blood drives that mobilize 2.8 million volunteer blood donors annually, those are just two areas of focus. Each year, the American Red Cross provides first aid, caregiving and water safety skills training to 5.9 million students. That's a lot of CPR! They also provide services for military families including emergency communications and financial assistance and partner with a global network of 200 Red Cross and Red Crescent societies to administer vaccinations, reconnect families and provide relief for millions of international disaster survivors. With over 17 million volunteers worldwide, Red Cross and Red Crescent societies help 1 in 25 people around the world each year. You can watch an overview of their work in this video, "We Are the American Red Cross". Exploring their website will give you many opportunities of ways to get involved including getting CPR certified, hosting a blood drive, and educating yourself on emergency preparedness and what belongs in your survival kit. There are also the usual ways to support the American Red Cross: become a volunteer, donate money directed to the California wildfires and show your love on social media by liking their Facebook page and following them on Twitter @redcross.